﻿"An Englishman, an Irishman, and an American. Why they were in that cell was anybody's guess, and why they were in Lebanon was their own guess." 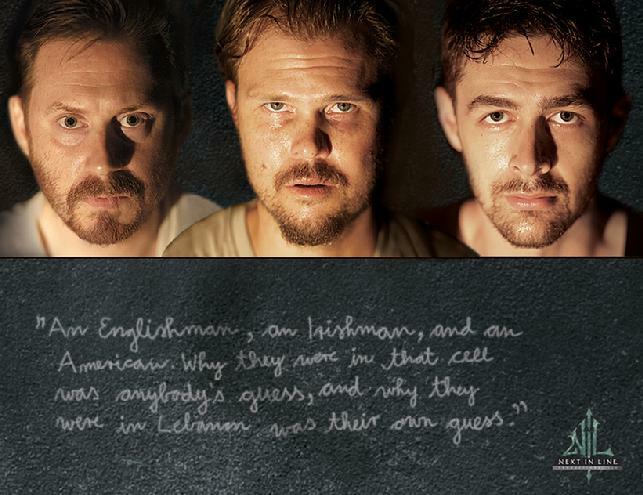 Someone Who'll Watch Over Me focuses on the trials and tribulations of an Irishman, an Englishman and an American who are kidnapped and held hostage in a nondescript location in Lebanon. As the three men strive for survival, they also find themselves trying to overcome both their personal grudges towards one another, and their nationalistic differences, all under the watchful eyes and ears of their captors. Someone Who'll Watch Over Me first opened at Hampstead Theatre in London in 1992, then on to the West End. It was produced in New York City at the Booth Theatre, with the cast of Stephen Rea, James McDaniel, and Alec McCowen (later Michael York). The play was nominated for Best Play by multiple organizations including The Writer's Guild Award, Oliver Award, Tony Award, and went on to win the New York Drama Critics' Award for Best Foreign Play. Frank McGuinness is an Irish playwright and poet, known for his dramatic works and adaptations, including The Factory Girls, and Dolly West Kitchen. Director Jesse Jou is a New York-based freelance theater director, and served as the Staff Repertory Director of The Acting Company, a member of the Soho Rep Writer/Director Lab, and a member of the Civilians R&D Group. Performers John Garrett Greer, Austin Jones, and Hardy Pinnell are all proud members of the Actors Equity Association. Next-In-Line Productions is a New York ensemble group of artists dedicated to produce both new works and classical plays with the aim of showcasing rising new talent. There will be a 10-minute late seating policy. *Appearing Courtesy of Actors Equity Association. Equity Showcase Approved.